Stephanie is a 29 year old English teacher from Niagara, Ontario. 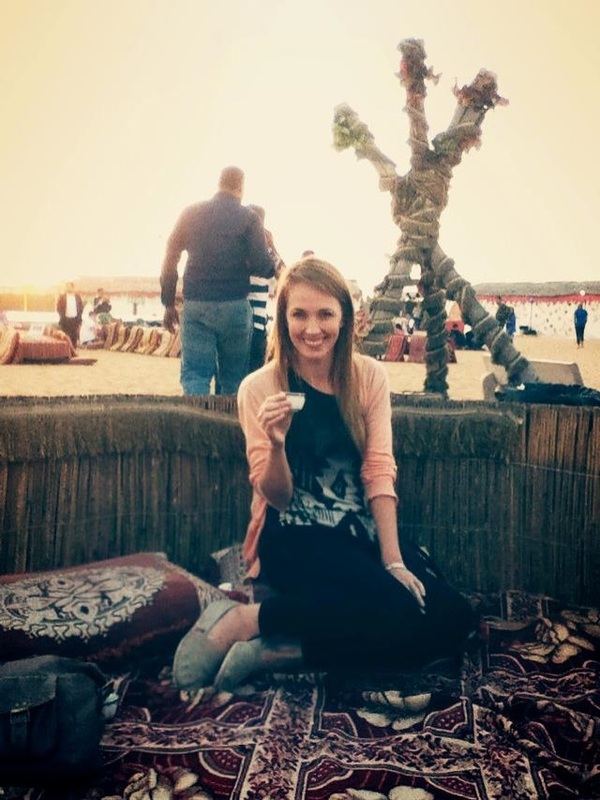 She was bit by the travel bug at the age of 19, and has not been able to stay in one place for an extended time since – in the past 10 years she has visited 17 countries, including Korea, Japan, Thailand, South Africa, Ireland and the United Arab Emirates. While she may be settled down for the moment, she looks forward to future adventures, wherever they may be (Brazil! World Cup 2014!). Why did you first make the decision to live outside of Canada? I first made the decision to live outside of Canada after high school, when I couldn’t decide what I wanted to study at university. I heard about a program called SWAP (Student Work Abroad Program) from a friend who was working in the UK, and thought it sounded like an adventure. So I packed up my things, got on my very first airplane, and moved to the exotic land of Scotland! Before living in Dubai, you lived in Korea. How did you find living there as an expat? I absolutely loved living in Korea, especially Seoul. There was always so much to see and do, something going on every weekend; from art galleries to film festivals, to concerts, to just hanging outside the Family Mart with friends. And work wasn’t bad, either! My coworkers were fantastic and went out of their way to help me settle in to my new life in Korea. It was a bit difficult to adjust to the culture at first. I definitely suffered from culture shock when I arrived. However, I got over it and quickly fell in love with Korean food, K-pop, and noraebangs! Learning the language opened up a lot of doors, especially being able to read Hangeul. It’s actually pretty easy to learn, so definitely worth the effort! How long did you live in Korea and what made you decide to move on? Leaving Korea was so hard to do that I put it off for four years. I finally decided to move on because I wanted stability. My job was cut due to the government cutting foreign teaching positions. On top of that, most of my close circle of friends had left, or were leaving. I wanted more of a “normal” life – a steady job and friends who wouldn’t move halfway across the world at the end of the year. How did you find your job in Dubai? What is the criteria for obtaining such employment, there? I found it extremely difficult to find a job in Dubai. I spent four months sending applications before finally hearing back from my current employer! I tried using recruiters, such as Teach Away and Teach Anywhere, but found they were not very willing to help me. Most schools in Dubai run either the IB (International Baccalaureate) or UK curriculum. Although I have Canadian teaching qualifications, I had zero experience teaching IB or UK curriculums. In the end, I just Googled “International schools in Dubai,” found a link with dozens of websites, and emailed them all with my CV. Eventually, I got lucky! Why did you want to live in Dubai? If I’m being honest, money was a huge factor. I had been unemployed since leaving Korea, and my savings were starting to disappear. I also had a couple of friends teaching here, and they convinced me to come! What were your first impressions upon moving there? When I first arrived in Dubai, I was awe-struck by the huge modern skyscrapers lined up along on the edge of the desert. There is an interesting mix of old and new here. Drive five minutes from the ultra modern Burj Khalifa and you can find camels roaming around the desert. What were you initial struggles? How did you overcome these difficulties and which ones do you still struggle with? One big drawback to Dubai is that it’s not very accessible. Compared to Seoul, with its amazing metro system, Dubai is almost impossible to get around without a car and a GPS. My initial struggles were mainly finding an apartment, buying furniture, and getting a driver’s license. It took ages to do and I had to find temporary accommodation in the meantime. Luckily, I had a friend who I could stay with, and my coworkers drove me to work for the first two months. Now that I’m settled in, the only thing I struggle with is getting lost while driving around. I work at a school for local Emirati boys. It is a British curriculum school, so I teach Key Stages 3, 4 (Grades 7-11), and a special High School Diploma program for Grade 12. Schools in Dubai start early, so I am at work by 7:20 every morning and I teach until 2:45. I could leave then, but there is always a lot of work to do so I usually go home around 5pm. By contract, I teach 21 hours per week, but have been told that this is a high amount of contract hours for Dubai. Unlike Korea, teachers in Dubai get tons of vacation time! I’ve added it up, and there are about 17 weeks of paid vacation (10 of which are in the summer), plus random national holidays. My contract is for one year, and it includes flights at the beginning and end of my contract, and also flights home for summer vacation. The school provides me a housing allowance, which was more than enough to get an apartment and furnish it. I also get medical and dental benefits. What are the major differences between your job in Dubai and your job in Korea? The major difference between teaching in Korea and Dubai is that I no longer teach ESL – I’m just a regular old English teacher. Compared to Korea, teaching in Dubai is a lot more work, planning, stress, and everything else that comes with actual responsibility. While I loved the freedom of teaching in Korea, I like the satisfaction I get from being a “real teacher” in Dubai. I have learned so much from my coworkers here, all of them well-experienced teachers from the UK. Many of them have been living in Dubai for 20 years or more! Although it is a lot more work, a major perk is that I make more than double what I made in Korea! 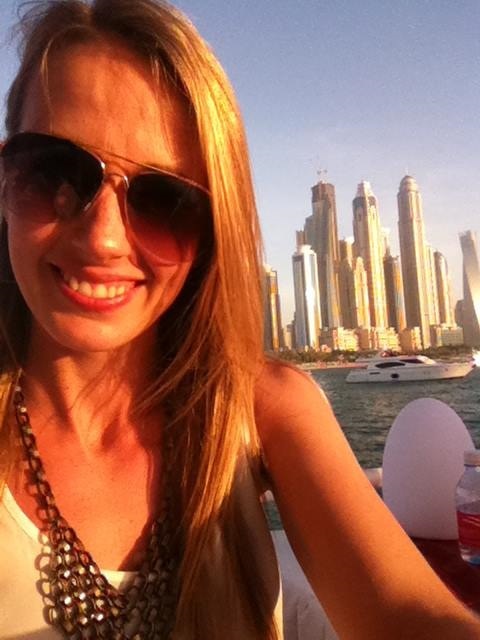 What is it like living as an expat in Dubai? Is it a “foreigner friendly” place? 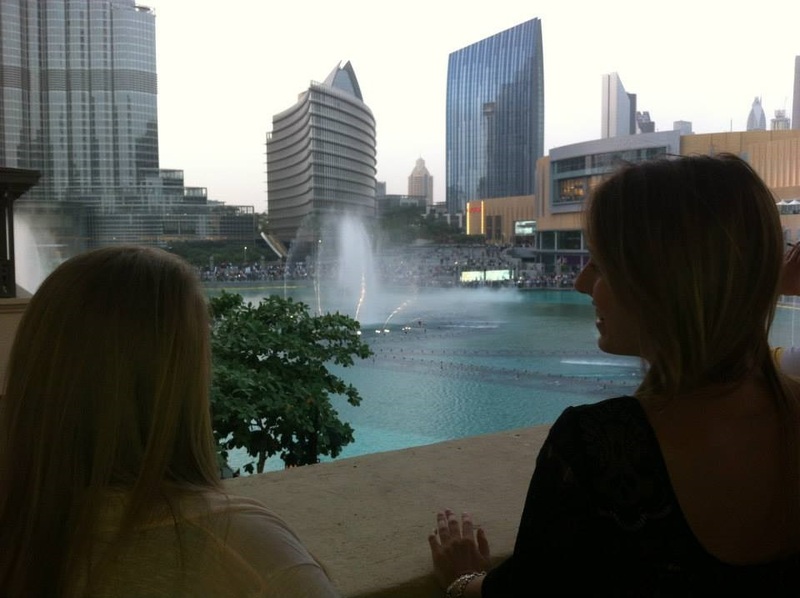 Dubai is definitely a foreigner friendly place, as long as you adhere to the law. Actually, most people who live in Dubai ARE foreigners! I’m told that the local Emirati population is only around 18%. 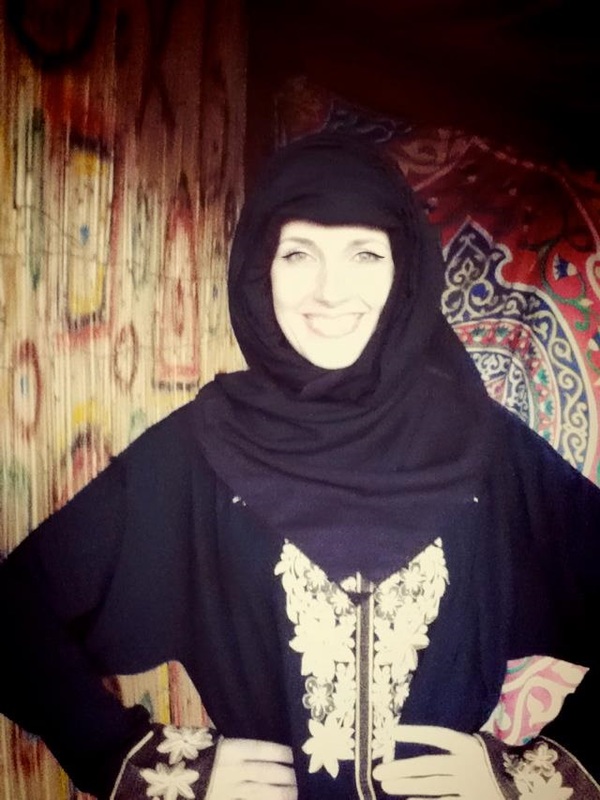 You most likely wouldn’t meet a local Emirati during your daily business. Most people living and working in Dubai speak some English, especially those who work in customer service. The only language barrier I have met has been some of my students’ parents who do not speak English. But my school provides a translator, so it hasn’t been a problem. As a foreigner, I feel completely at home in Dubai, as it has everything you could ever want or need from back home, including supermarkets like Waitrose, retail stores like Forever 21 and Top Shop, and even Wendy’s and Tim Hortons! What are you favourite things about Dubai? The hot weather, seeing camels on my way to work, and living somewhere completely different than anywhere else I’ve ever been. It’s also pretty cool to hang out in the sun on the Palm and have dinner while watching the fountains at the bottom of the Burj Khalifa. What are your least favourite things? Everything here is brand new, so there aren’t any small, eccentric shops or unique old restaurants. And since it is so hot, you don’t see many people out on the street, so it gives the city a feeling of emptiness. Also, it is extremely expensive to go out – a beer can cost up to 40AED (about $10CAD). What are some of the strangest customs or laws that you have heard of or experienced since you have moved there? Dating in Dubai is difficult. Any public displays of affection are against the law. Living with a boyfriend or girlfriend is illegal, as is spending the night. Being drunk in public is also illegal, and so is having alcohol in your apartment without a license, however obtaining a license is fairly easy. What are the top five must sees and do’s for a visitor to Dubai? Go to a camel race – a very popular sport! Go shopping at Dubai Mall – the world’s biggest mall. 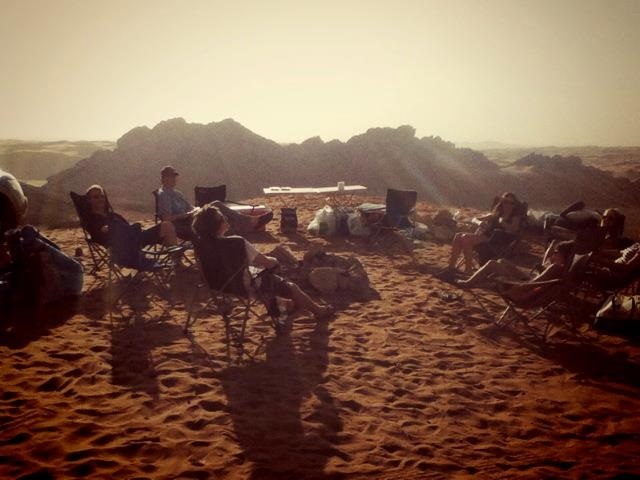 Go on a desert adventure tour – including sand duning, camel riding and eating traditional foods. What must a visitor to Dubai eat? Try a camel burger! I haven’t had the chance to eat much local food, but I saw my students eating a traditional goat dish once. It a whole goat, on a giant bed of rice with curry that you eat with your hands! There are loads of small kebab shops and Indian curries everywhere. Dubai is very multicultural, so you can find food from any culture here. I usually get curry and pizza takeaways when I’m being lazy. Food here isn’t cheap, but a curry and naan from Green Chillies, my favourite restaurant, is about $15 for two people who don’t eat much. How is the nightlife? Does the fact that the United Arab Emirates is a Muslim country affect your ability to obtain alcohol? Where are the best places to go out? When I told people I was moving to Dubai, a lot of my friends told me I was crazy. They asked why I would want to move somewhere with no bars, no nightlife, and no alcohol. Since I’m not the partier I used to be, I wasn’t too concerned. However, when I got here I was pleasantly surprised to discover that my friends were misinformed. The nightlife is what you would find in any major city. What is unusual is that, due to alcohol laws, all bars are found inside hotels. This means your night out might be on the 56th floor of the Marriot hotel overlooking The Palm! My friends usually go out in The Marina, but there are tons of places to go out all over Dubai. What should a visitor to Dubai be aware of before arriving? The biggest thing to be aware of is clothing, especially for women. It is best for women to dress modestly, especially in the malls and public areas. It’s freezing in the malls anyways, so a cardigan is always useful. Other than that, public displays of affection are a no-no, and so is being drunk in public! What is the cost of living in Dubai? Are you able to save money by working there? Living in Dubai is quite expensive, but salaries are high and also tax-free. You can easily save money. I spend about one-third of my paycheck each month and the rest goes into savings. Going out is expensive, but you’ll most likely be working so much, you won’t have the time or energy to go out anyways! How long do you anticipate staying in Dubai? Are there any countries that you would like to live in? I think I will stay in Dubai for the next few years, but only time will tell. My job is really great, I’m able to save lots of money, and it has all of the conveniences of home, plus amazing weather and beaches, so it would be very easy to stay here for a while. Although I love living abroad, sometimes adhering to another country’s laws and customs can be challenging. Especially in a country like the U.A.E, where there are so many rules! If I left Dubai, I’d love to live somewhere in Europe. I have dreams of living in a tiny old apartment in Paris, shopping on the Champs Elysees and becoming fluent in French. In reality, I will most likely move wherever I can get a job – hopefully at an international school somewhere. I actually like the thrill of moving someplace completely new, without worrying too much about where it is! Do you ever get homesick? If so, how do you cope with it? Somehow I don’t seem to get homesick! Probably because I Skype with my mom every other day. I also keep in touch with friends and family on Facebook. I usually just leave my Facebook open when I’m on the computer, so that I can chat and say hi. When I was in Africa last summer I didn’t have much internet access. I went two weeks without speaking to anyone and I started to get a bit worried thinking, what if something bad has happened back home while I’m out here in the bush? But the paranoia went away as soon as I got to a computer and saw my mom posting about Will and Kate’s baby – I knew that everyone was fine and life was still normal. What are your favourite websites for job searching abroad? Daves ESL Café has always been reliable. Teach Away and Teach Anywhere are good sites for qualified teachers to use. I also look at the TES website for jobs in the UK and British schools abroad. 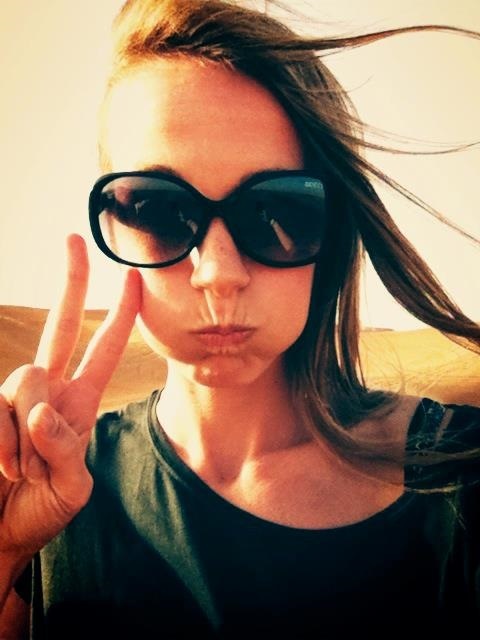 What advice would you give to someone considering teaching in Dubai? Do it! There aren’t many ESL schools in Dubai, and the few that are here pay less than Korea, so it is not worth it! So if you want to teach here, make sure you are a qualified teacher. IB and UK curriculum experience are major bonuses. Expect to work very hard, but also enjoy a lot of perks! To find jobs, go through recruiters, or just contact schools directly yourself. The best times to apply are in March or April for a September start, and maybe around December, if you are available to start mid-year. What are you best moving abroad/travel tips? Being flexible about where you want to live will open up more job opportunities, but make sure to do your research! Have an open mind. Don’t expect the norms from your country to be the same as where you have moved. Make friends with the locals and take part in local customs. Try new foods and take advantage of every experience you are offered! What is your favourite place that you have travelled to and why? That is a difficult question! This summer I went on a road trip across South Africa, Namibia, Botswana and Zimbabwe. I had no idea what to expect, and it was amazing. I never thought I’d share a campsite with an elephant! It was definitely a once in a lifetime experience. What is the number one place on your list that you have not yet travelled to and why do you want to go there? I’ve always wanted to go to Greece! I really like traveling to places where you can see and do many different things. I’ve been on trips in the past that were either too museum heavy, or totally partying and lazing around. I much prefer a mix of everything. I’d love to see the Acropolis, relax on the beach, and eat some amazing Greek food. What have you, and what do you think other young people can gain from travelling or living abroad? There is so much to gain from travelling. Meeting interesting people, seeing incredible places, and learning about the world! But more than anything, travelling and living abroad has given me confidence. When I left my hometown at the age of 19, I had never ridden a bus, hailed a taxi, or had to communicate with someone in a different language. So there was no better feeling than when I figured out the Seoul subway system on my own, or when I was able to give a taxi driver directions in Korean. When I was younger, the thought of going someplace new, or meeting a new person was daunting. Now, I look forward to the challenges that come with new experiences. I would not be the same person I am today if it weren’t for travel! 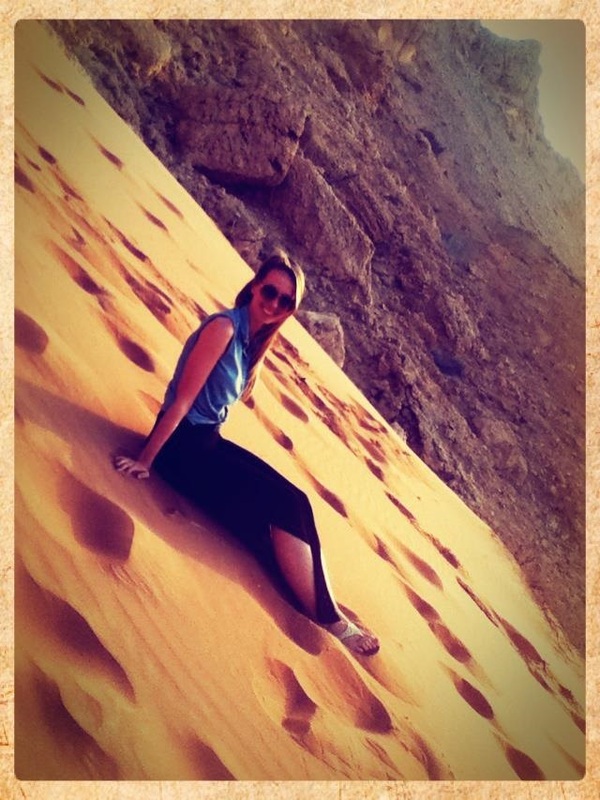 Big thanks to Steph for giving us some major insight on life and teaching in Dubai!